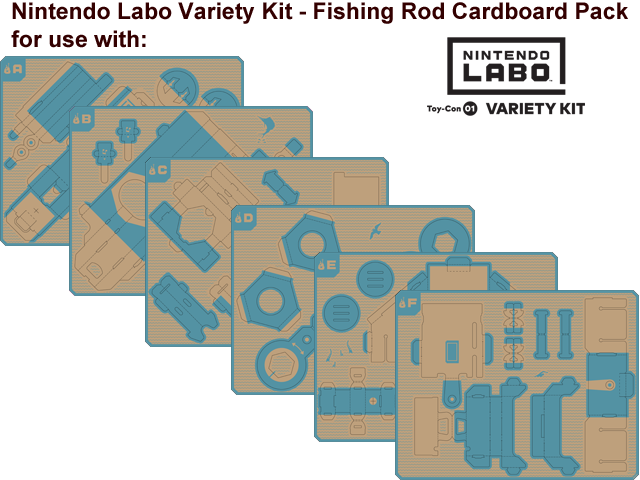 The cardboard pack sheets included can be used to build an additional or replacement Toy-Con, replace a section of a Toy-Con, or design a new Toy-Con. Additional accessories (grommets, string, straps, stickers, etc.) are sold separately. Accessories used to construct the original Toy-Con may be re-used. Requires Nintendo Labo™ Variety Kit and Nintendo Switch™ system (each sold separately).